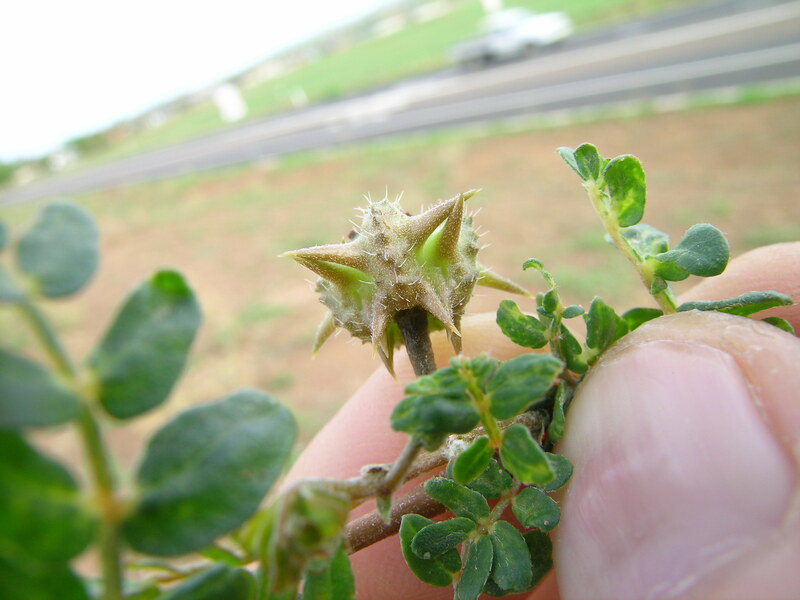 Puncture vine (Tribulus terrestris) is an annual, drought-tolerant plant in the caltrop family (Zygophyllaceae) which thrives in dry, desert climates with poor soil. 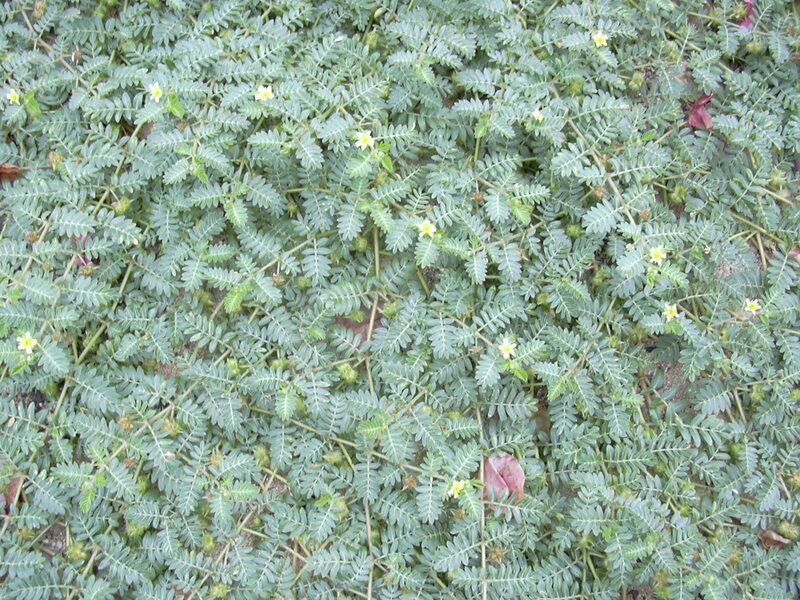 It is found worldwide and is considered to be an invasive weed in North America. 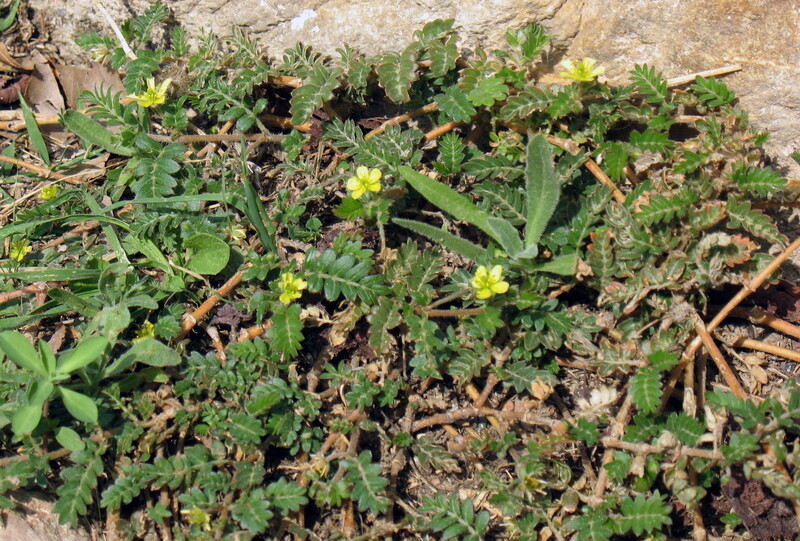 Puncture vine has pinnately compound opposite leaves with oblong leaflets, solitary yellow flowers in leaf axils, and small spiny capsules as it's fruit. 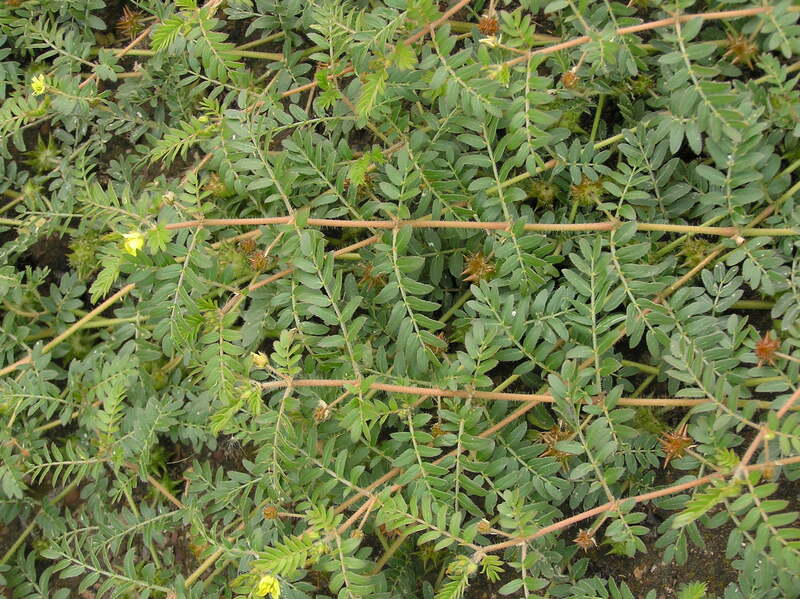 All parts of the plant contain steroidal sapogenins which are toxic to horses. 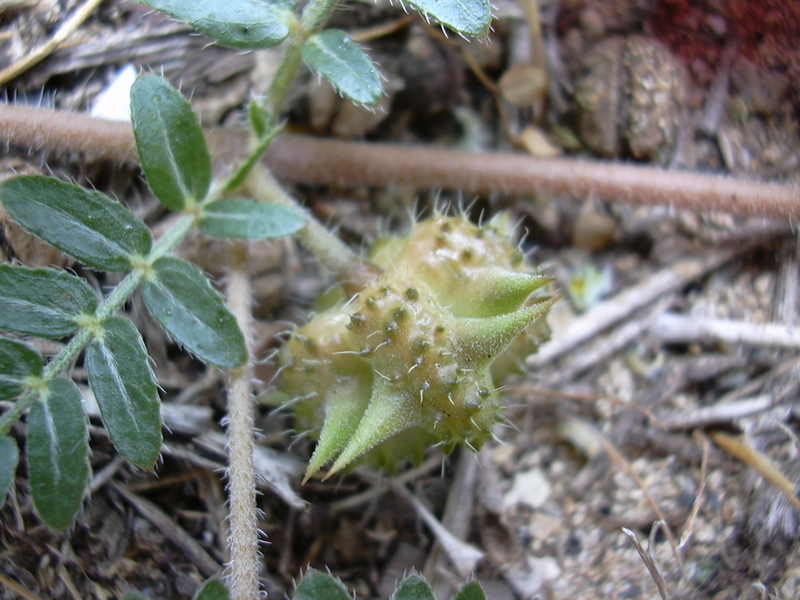 It can also cause physical injury and photosensitivity, due to it's sharp burrs and chemical components. It has been known to cause neurological symptoms resulting in incomplete paralysis in livestock. Bourke, C. A. 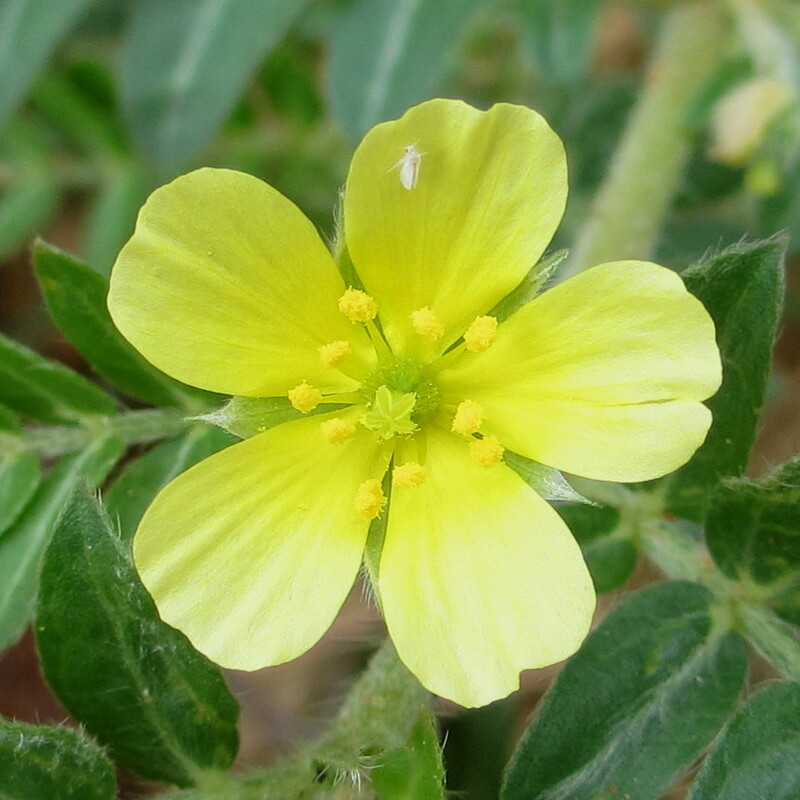 Motor neurone disease in molybdenum‐deficient sheep fed the endogenous purine xanthosine: possible mechanism for Tribulus staggers Australian veterinary journal 90.7 . 2012. Kellerman, T. S., et al. Plant poisoning and mycotoxicosis of livestock in Southern Africa Oxford University Press, Cape Town. 2005. Puschner, Birgit. Problem weeds in hay and forages for lifestock 5th California Alfalfa & Forage Symposium, Visalia, California. 2005. 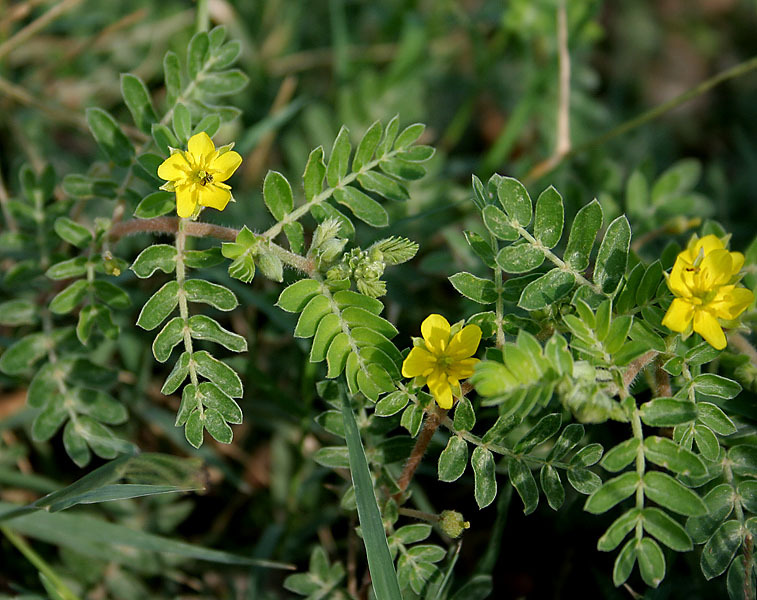 Aslani, Mohammad Reza, et al Experimental Tribulus terrestris poisoning in sheep: clinical, laboratory and pathological findings Veterinary research communications 27.1. 2003. Bremner, John, et al. 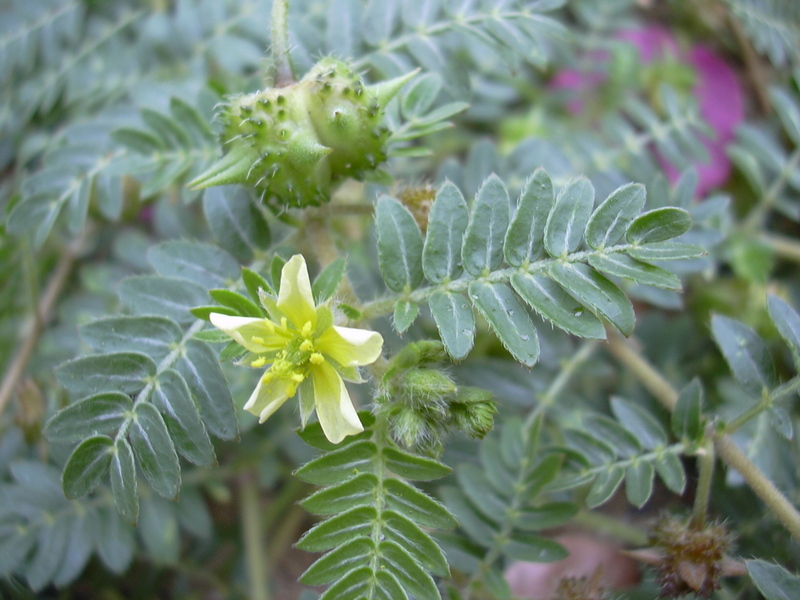 The Alkaloids of Tribulus terrestris: A revised structure for the Alkaloid Tribulusterine III WOCMAP Congress on Medicinal and Aromatic Plants-Volume 3: Perspectives in Natural Product Chemistry 677. 2003. Naudé, T. W., Kellerman, T. S., & Coetzer, J. A. W. Plant poisonings and mycotoxicoses as constraints in livestock production in East Africa: the southern African experience. Journal of the South African Veterinary Association, 67(1), 8-11. 1996. Rowe, Loyd D Photosensitization problems in livestock Veterinary Clinics of North America: Food Animal Practice 5.2 . 1989. 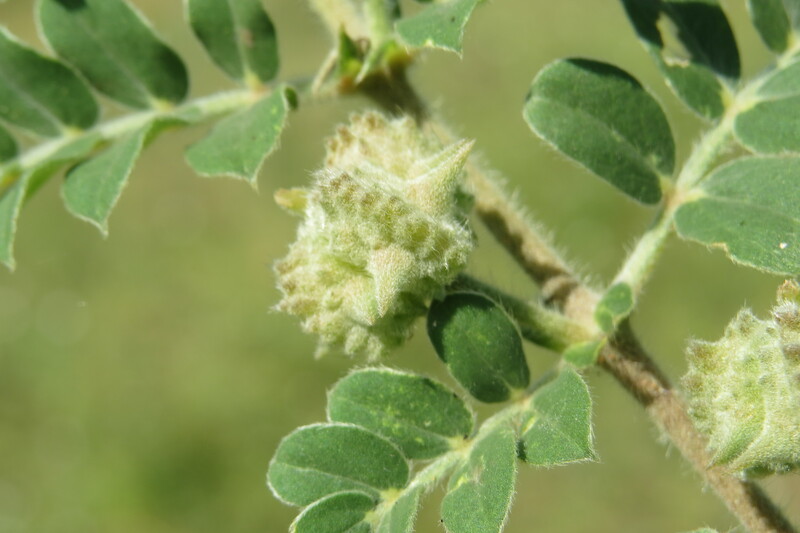 Huffaker, C. B., Hamai, J., & Nowierski, R. M. Biological control of puncturevine, Tribulus terrestris in California after twenty years of activity of introduced weevils. entomophaga, 28(4), 387-400. 1983.